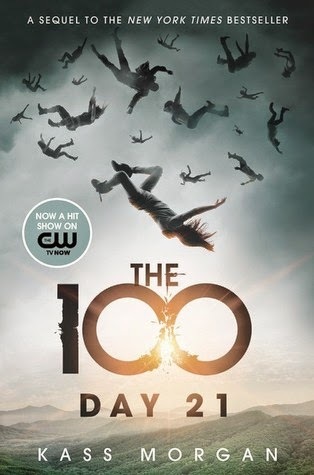 The second book in the 100 series was a good read, quick and to the point. It felt very simple to me but I am an accomplished adult reader and this is very clearly meant for a teenage audience. The story was interesting, however, despite the fast pace of the first novel, the second novel seemed to drag at times and move quite fast at other times. It was interesting and unique but didn't quite capture my attention as much as the first book did. That being said, just because I didn't enjoy this book quite as much as the first book doesn't mean I didn't enjoy the book . I did, in fact, enjoy this story and I look forward to reading the next installment. My 13-year-old son is reading these books as I complete them and he is so impressed and excited to see what will happen next. He is taken off guard by the twists and turns and excitedly discusses what is happening in the book with me. The characters really feel like teenagers to me. There is not even a little bit of "A teenager wouldn't talk or think like that," feeling that can sometimes happen in young adult novels written by adults. All of the characters in this series are either 18 years old or very close to 18 years old, there is an intimacy scene that is merely implied and not at all described which may give some parents pause. There is also violence, again, not described explicitly but these kids are trying to survive a harsh new world and, of course, there are deaths. I would advise reading the book first if you are allowing your younger teenagers to read these novels and have any issues with such circumstances in novels. I would definitely recommend for teenagers and even parents of the teenagers reading these books. I really enjoy the discussion I have with my Son when he completes the last book I read…It's a priceless feeling. Disclosure: All opinions are my own. I received The 100 Day 21 at no cost for the purpose of this review. No other compensation was received.